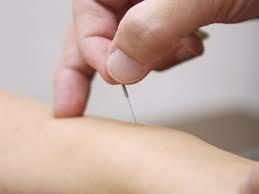 The practice of dry needling involves inserting an Acupuncture needle into a trigger point (tender spot). It is generally used to treat pain associated with injuries. Dry needling is often conducted by Physiotherapists, Osteopaths and Chiropractors, or Remedial Masseurs to complement their treatment modality. Dry needling can be effective in relieving pain or discomfort associated with an area of your body. Dry needling programs run for several days and the rudimentary understanding on how to needle a trigger point is easily picked up. The increasing use of the term dry needling has caused some confusion and hence this short article. Acupuncture may involve dry needling techniques but goes beyond inserting a needle into a tender spot on tight band of muscles. Acupuncturists study for at least 4 years and in Australia are registered with the Chinese Medicine Registration board. Acupuncture involves accessing our body’s energy system. It also differentiates between draining or supplementing, moving or concentrating (energy). Acupuncture assists the body in optimal functioning. It balances the mind, organises soft tissue, relieves pain or aches, vitalizes and much more (depending on your circumstances). While Acupuncture is considered very safe in the hands of well-trained practitioners, it has been associated with a range of complications, some of them of serious nature. The treatment with Acupuncture generally does not have any adverse effects, however, it must be noted that some recipients might experience a worsening of symptoms in the first 48 hours before the condition improves. Acupuncture causes a deep state of relaxation and a genuine feeling of well being. If you have any questions about dry needling or Acupuncture, please do not hesitate to contact us.